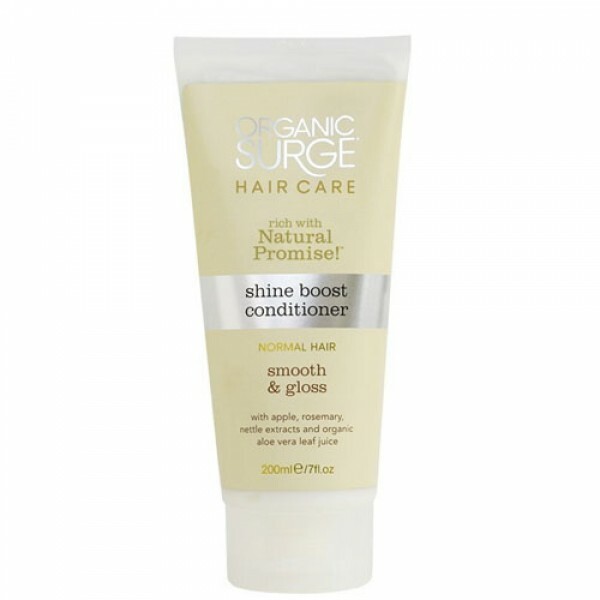 Shine boosting conditioner to smooth and detangle normal hair. Natural moisturisers help to smooth and gloss the hair while antioxidant vitamin E protects from environmental damage. 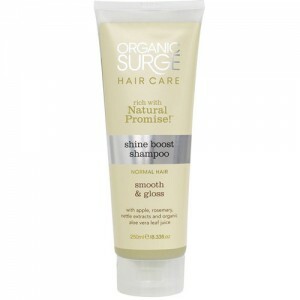 Shine Boost Conditioner contains specially chosen ingredients to smooth and detangle. 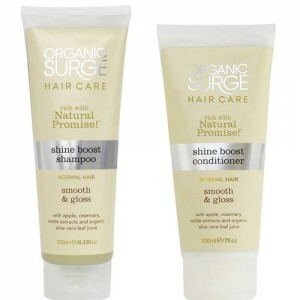 It gently detangles and glosses, leaving your hair feeling soft and healthy, with a brilliant, natural shine. Aqua (Water)*, Cetearyl Alcohol*, Glycerin*, Aloe Barbadensis Leaf Juice**, Brassicamidopropyl Dimethylamine*, Butyrospermum Parkii (Shea) Butter**, Aspartic Acid*, Benzyl Alcohol, Distearoylethyl Hydroxyethylmonium Methosulfate, Coco-Caprylate*, Panthenol, Parfum (Fragrance)*, Citrus Nobilis (Mandarin Orange) Oil*, Potassium Sorbate, Sodium PCA*, Sodium Lactate*, Arginine*, Dehydroacetic Acid, Sodium Phytate*, PCA*, Glycine*, Alanine*, Serine*, Valine*, Pimpinella Anisum (Anise) Fruit Oil*, Isoleucine*, Proline*, Threonine*, Pyrus Malus (Apple) Fruit Extract*, Rosmarinus Officinalis (Rosemary) Leaf Extract*, Urtica Dioica (Nettle) Extract*, Histidine*, Phenylalanine*, Alcohol*, Ascorbic Acid*, Citric Acid*, Citral*, Limonene*. **ingredient from organic farming. *naturally derived ingredient. Free from animal-derived ingredients. Suitable for vegetarians and vegans. Product colour or texture may vary slightly due to natural ingredients. Store in a cool dry place, out of direct sunlight.